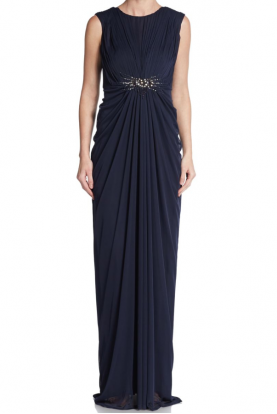 Refined and sophisticated, this chic evening dress from Clarisse M6241 is a beautiful choice for any black tie event. 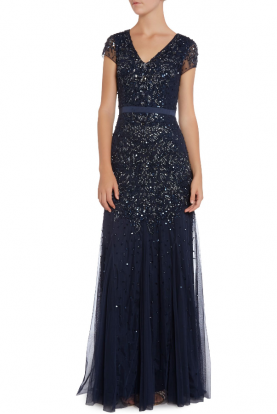 The illusion neckline bodice has a sweetheart lining and shines with twinkling tonal embellishments for a rich and opulent look. This slim fitting ensemble will skim your figure to the full-length hem, complete with a sweep train.